What to Do With All the Art Projects?! Moms!! 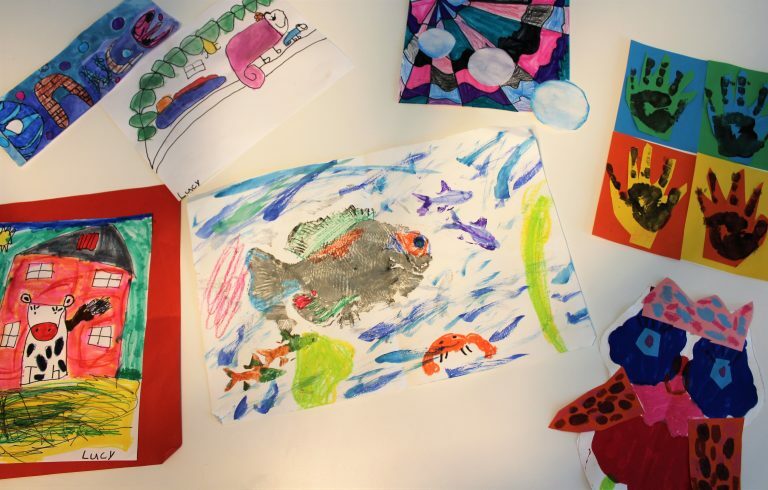 What do we even do with all of the precious masterpieces our kiddos bring home from school? If your kids are anything like mine, they bring home these amazing wonders of paper, paint, and glue and expect you to keep them forever and ever, amen. I don’t know about you, but with four kids, that just ain’t gonna happen at this homestead. Several years ago, when our high school sophomore was in about the 3rd grade, I came up with a plan that I hope will save you from any future drowning the end of the school year might bring. Basically, when all of the artwork comes home in one fell swoop during the last week of school, I tell each kid to pick their 3 favorite pieces. I gather up the leftovers and put them aside, to recycle later…when I’m not under their very watchful, very unforgiving eyes. I flip over the lovely picture that came in the frame so I’m left with a solid white background. Then, I arrange a couple pieces per frame. 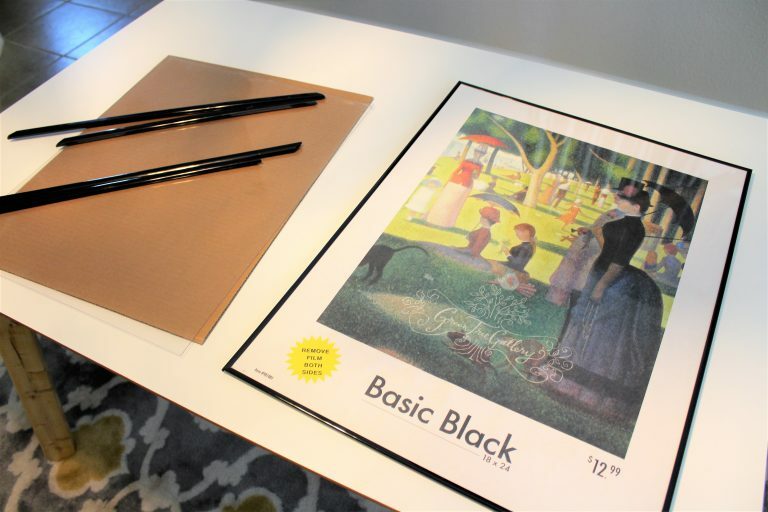 No gluing, no taping…super simple. 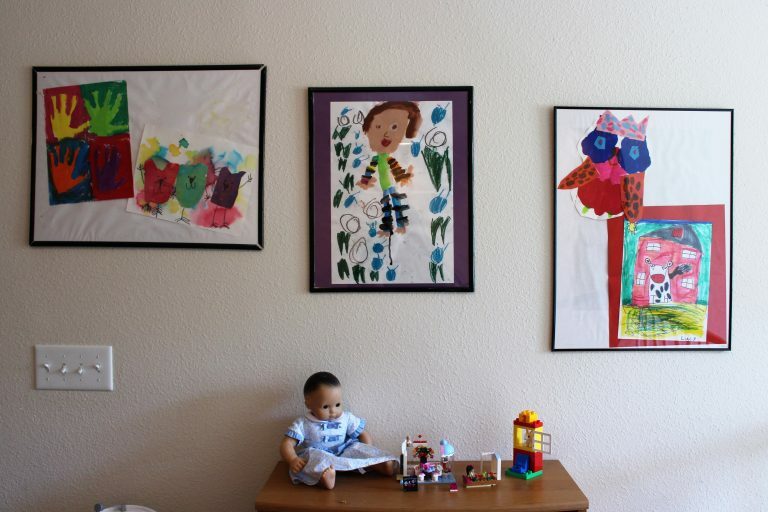 When it’s all said and done, I’ve spend about 15 minutes placing the art in the frames and then rehanging them in the playroom upstairs. Some of the pieces we’ve kept for many years, and even now that the boys aren’t bringing home new things, we’ve kept a frame for each of their things. But now, every year, the girls’ art get traded out and we have fun new projects to display. 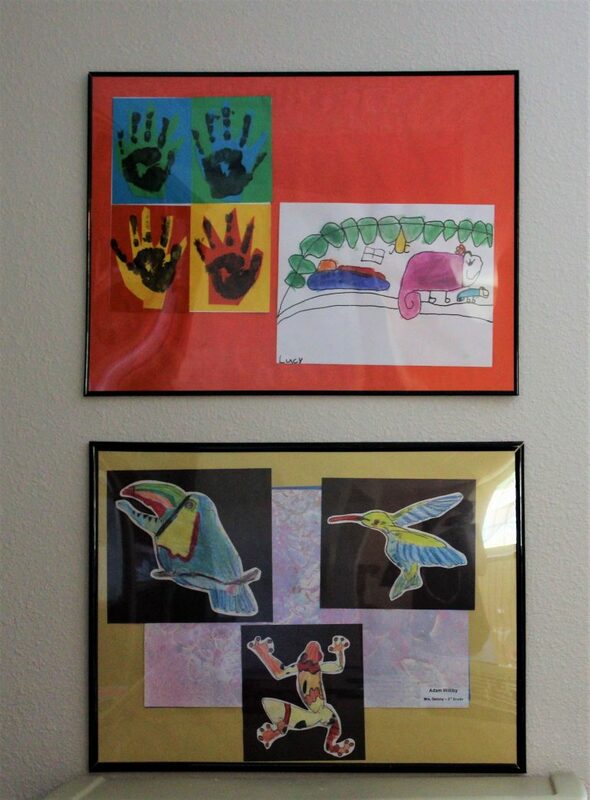 The kids are happy to show off some of their hard work, we have fun new art for their space in the house, and I don’t keep every single thing they bring home. I consider that a win-win-win! Hahaha!! Classier, maybe, but not much more expensive! 🙂 Thanks for the comment! 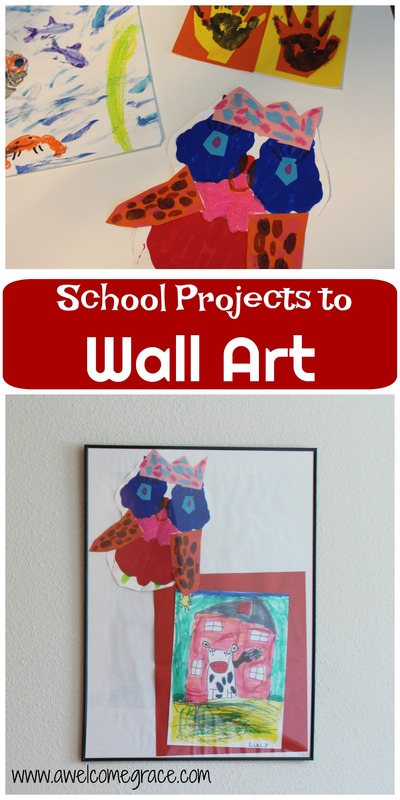 We have done this with art projects in the past – and say we have original works of art ! Some are pretty darn good too! Back in the day when this was my life, after choosing their favorite to put in their box, I used to put the rest of the artwork in “artwork purgatory” in the space between the top of the fridge and the cabinet above it. After a non-specific period of time, they would slowly migrate to the recycling bin.